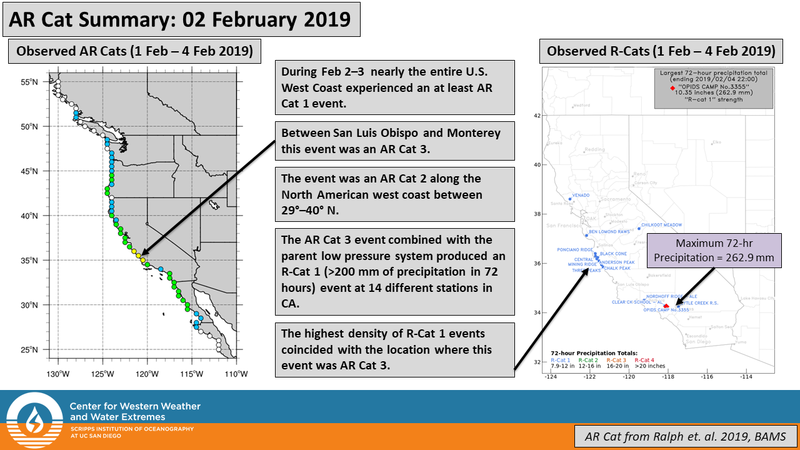 The most recent atmospheric river to impact the U.S. West Coast made landfall as an AR Cat 3 according to the newly released AR Scale. For more information on the scale click here. Precipitation produced from this event resulted in R-Cat 1 (200-300 mm of precipitation in 72 hours) events throughout California.